Luccombe Villa Holiday Apartments occupy a wonderful, quiet position just a short stroll from Shanklin Chine, Rylstone Gardens, Shanklin Old Village and Appley Steps which lead down to Shanklin's sandy beaches and waterfront pubs. The nine self-catering holiday apartments range in size from one to three bedrooms. They are spacious, well equipped and all benefit from free wifi. Some apartments have private outside areas. All guests can enjoy the outdoor swimming pool (heated from May half term to August) set in the secluded garden. 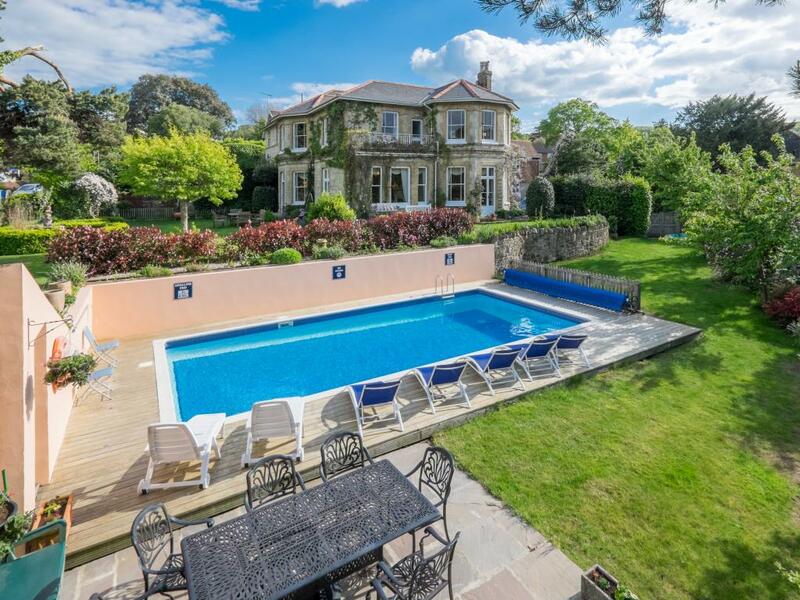 Luccombe Villa lies on the Island's famous Coastal Path which you can follow to Bonchurch, Ventnor and, finally, to the south tip of the Island.